In line with client's diverse needs, we bring forth a distinguished collection of Diamond Pure Chiffon Saree. Established in the year 2017, Naaira Fashion Worldwide Private Limited is the leading Wholesaler, Exporter, Trader and Manufacturer of Kota Cotton Sarees, Kota Silk Sarees, Kota Organza Silk Saree, Kota Handloom Pure Zari Sarees and much more. The range offered by us comprises Embroidery Kota SCotton Saree, Kota Pure handloom Sarees, Kota Pure Silk Sarees, Maheshwari handloom Sarees, Maheshwari Pure Silk Sarees, Pure Chiffon Sarees, Bandhej Sarees,Ladies Party Wear Designer Sarees. Alluring appearance, sophisticated look, high tearing strength, fine finish, lightweight, high tearing strength and easy to wash are some of the features of our offered range of sarees. 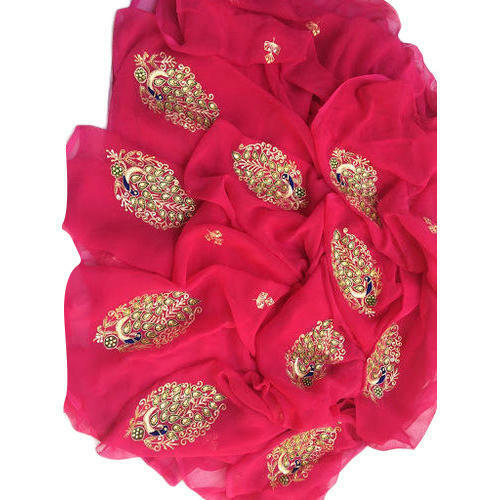 Also, We are providing these sarees in different colors, designs and patterns at industry leading prices.